eCommerce is a thriving business segment in the present times. With the technology boom and increase in digitization, people have been lured towards the idea of shopping in the comfort of their homes. 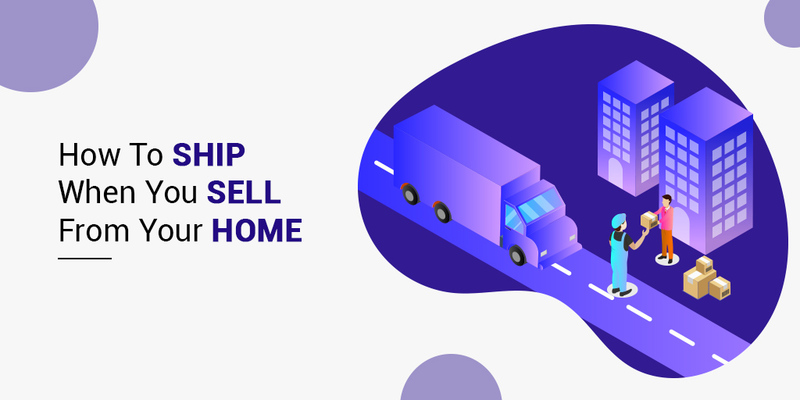 With this pervasive ideology in fair play, various small eCommerce businesses are picking up the pace from their homes which are their makeshift offices. An essential and urgent process that completes the operations of any eCommerce business is shipping. Without shipping, eCommerce business cannot exist, making it an indispensable part of the whole idea. Thus, to make sure your pre-shipping efforts are paid off well, you need to emphasize your efforts on shipping. How To Plan The Shipping Of Your Products? Before you even start an eCommerce business, it is essential that you consider the shipping process for your products. Depending on the cost and weight of your products, you will have to decide one of the many options available to make your goods available to the customer. In India, many logistics firms provide shipping services for online businesses all over the country at varying rates and charges. 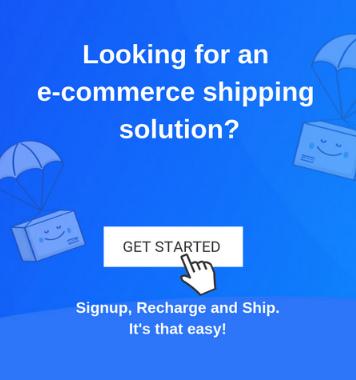 While you can choose one of these options anytime, you can also explore opportunities for contract shipping and bulk shipping or ship using a shipping software. While the process will remain the same in either case, you might get the benefit of reduced charges and rates with one or the other option. Why Is It Important To Offer Excellent Shipping Service? For the most part, since eCommerce businesses lack a personal touch, the only point of contact that a customer comes in, with the company, is when he receives the product. You may even consider that the delivery person who delivers your product at the customer’s doorstep is likely a representative of your business. Therefore, to control the customer’s impression of your business, it is essential to make this process seamless and fluid, so that your customer receives his products with satisfaction. Let us take a look at the elements that are likely to impress your customer with your shipping choices. How Do You Ship Things From Home To Customers? With a few general pointers in mind, you can get the whole process quite right and quickly gain your customer’s confidence. How you pack a box for shipping makes a lot of difference. With different variety of products, you would be forced to choose a different form of packaging. For example, items that can suffer breakage easily, need to be packed with ample stuffing and bubble wraps, to avoid the incidence of damage. Similarly, other items might require packing space in the carton while you send them out. The critical point to note here is that you must not stuff the items or present them poorly. Pack them in a way that when the customer opens the package, he feels flushed with excitement and satisfaction. Choose different packaging options such as corrugated pads or secure fold mailers for specific products. Choose a convenient and friendly shipping carrier that meets your budget and cost targets. You can opt for contract shipping or local shipping carriers, depending on the items to be shipped and their costs. Define the shipping constraints that you wish to impose on your customers. This could include free shipping or chargeable shipping. Policies in this regard would have to be framed separately. Calculate shipping rates in advance for your ready reference, which are based on packing size, package weight, departing country, and insurance. Once you have set everything for your goods to reach your customer, make sure that you follow up with the shipping carrier at regular intervals, to ensure that your products are on time and will contact the intended customer within the time frame, as promised by you. By taking care of each step, you can deliver up to your consumer’s expectations. Am planning to have a small business, need a person to ship them to home. Door to Door delivery . Kindly email your query at support@shiprocket.in. Our team will get back to you.